Step back in time and take a musical journey to a magical era when we were all dancing in the streets! 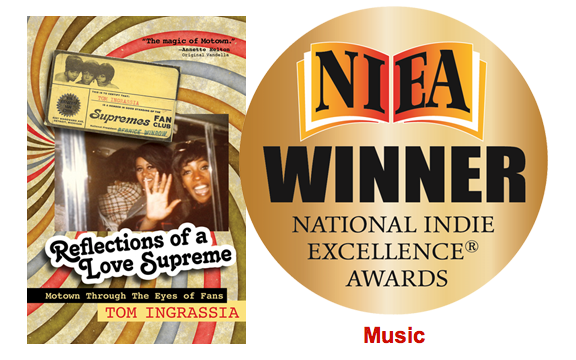 Reflections of a Love Supreme tells the story of Motown through the eyes—and camera lenses— of its fans. Many of the photos included here have never been published before. They are personal, behind-the-scenes glimpses of the people, places and things that made Motown the music that inspired a generation. The music of Motown brought people together more effectively than any other cultural phenomenon. It didn’t matter if you were black or white, rich or poor, young or old—we all were listening to and dancing to Motown in the 1960s. And we still are today. Motown changed the world’s image of people of color. Get your copy now through Amazon, or MotivAct. 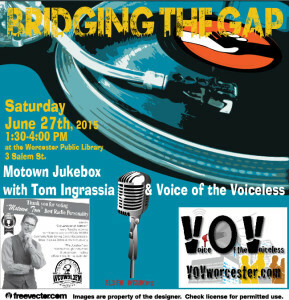 Tom Ingrassia is a Motown historian, author, radio personality and motivational speaker. 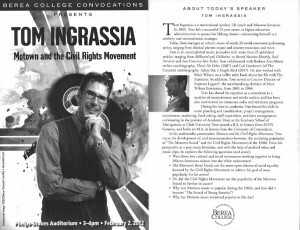 In 2001, Tom left a successful, 25-year career in higher education to pursue his lifelong dream of working in the entertainment industry, with the formation of Ingrassia Productions and Artist Management. Along the way, he had the opportunity to work with many of the legendary singers he grew up listening to and idolizing in the 1960s, including Arlene Smith (The Chantels), Barbara Alston (The Crystals), June Monteiro (The Toys), The Velvelettes, and Carl Gardner (The Coasters). The highlight, however, was serving as Executive Assistant and Creative Director for Mary Wilson, of The Supremes, from 2001-05. 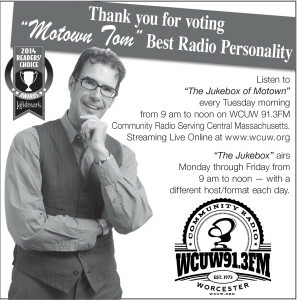 Beginning in January, 2014, Tom is the host of “The Motown Jukebox” on WCUW 91.3FM, in Worcester, MA. Airing every Tuesday morning from 9 am to noon, Tom spins the best of the Motown Sound from the 60s to the 80s, and spins the stories behind the music. With listeners in Sweden, Florida, New York, Missouri, and elsewhere, the show streams live at www.wcuw.org. 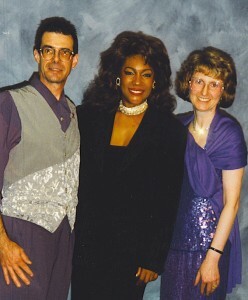 Tom & Barbara Ingrassia with Mary Wilson at Boston’s Fleet Center, 1997. Photo courtesy Thomas Ingrassia Collection. In 2013, Tom published One Door Closes: Overcoming Adversity By Following Your Dreams (Wyatt-Mackenzie Publishing). The book was recently recognized with a National Indie Excellence Award for writing and presentation. One Door Closes captures the inspirational stories of 16 people from all walks of life who have triumphed over seemingly insurmountable obstacles to achieve their dreams. Among those interviewed for the book are Scherrie Payne of The Supremes, June Monteiro of The Toys, and Mary Wilson–who shares a special message of healing and hope that forms the Epilogue of the book. Memorabilia from the Thomas Ingrassia Collection has been exhibited at the Whitley Gallery (Los Angeles), Barbican Centre (London), Lockhart Gallery (Geneseo, NY), Albany Institute of Art and History, the LBJ Presidential Library and Museum (Austin). Tom’s speaking engagements have included the National Conference on Race and Ethnicity, Hanover Theatre for the Performing Arts, Worcester Art Museum, Berea College Distinguished Speaker Series, Alice Lloyd College, Albany Institute of Art and History, State University of New York, the Long Island Museum, Cape Cod Community College, Worcester Public Library, Jacob Edwards Library, North Shore Community College, Northern Essex Community College, Massasoit Community College, Worcester State University, Leominster Public Library, Worcester Institute for Senior Education, and the Valencia Men’s Club. 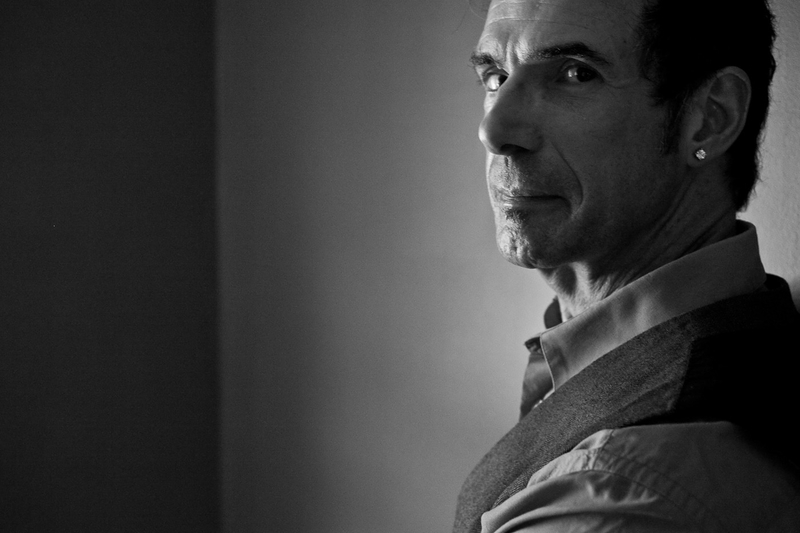 Prior to entering the entertainment industry in 2001, Tom spent 25 years in higher education and private industry, achieving the position of assistant dean of the Graduate School of Management at Clark University. He also has been affiliated with Assumption College, Regis College, Urbana College, West Virginia Northern Community College, and the State Mutual Companies. Tom earned his bachelor of arts degree in history from the State University of New York at Geneseo. He holds a master of arts degree in history from the University of Connecticut. © 2019 Tom Ingrassia Productions — All Rights Reserved.